2008 Mazda Mazda5 Touring for sale at Blue Bell Motorcars in Blue Bell, Pennsylvania! 71K miles, No Accidents, Moonroof, Alloy Wheels, Automatic Climate Control, Fog Lights, Aux Input, Satellite Ready. Fully Serviced with New Front Brakes, Rotors, New Exhaust, and New PA Inspection. A compact mini-van, this 2008 MAZDA5 is a practical family hauler that gets an impressive 28 mpg. Part minivan, part SUV, and part station wagon, this 2008 Mazda5 can serve a wide range of needs for city dwellers with a tight budget and an even tighter parking space--especially when there are children to be shuttled. Yet the model stands out for its fun-to-drive qualities, as it handles more like a sporty hatchback or wagon than a minivan or SUV. The Mazda5 is built on the same mechanical platform as the compact Mazda3 sedan. So it weighs less, and even covers a smaller patch of road than, say, Mazda's own mid-size sedan, the Mazda6. But the tall Mazda5 seats six, where even the Mazda6 sedan seats five at best. And with the back two rows of seats folded, the Mazda5 will hold far more than your average station wagon. Climbing in and out is a breeze, even from the second row of seats, thanks to the sliding side doors. The rear side door windows roll down, an unexpected feature in a sliding door, leaving only about an inch of glass showing when fully retracted. Both second-row seats have storage bins beneath the flip-up seat bottoms, but the right-hand seat has an extra-added attraction: a cool, foldout tray parked under the seat. Lift the seat bottom, fold the tray up and over into the space between the two seats, and voila, you've got a couple of cup holders and flat tray for sandwiches or whatever, with notches in the corners to restrain plastic shopping bags. This Mazda5 is an impressive package in this price range. It seats six yet takes up less space than a minivan and costs less to buy and operate. 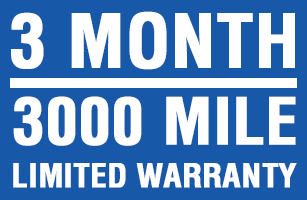 We include a 3 month/3000 mile Warranty for Worry-Free Driving. 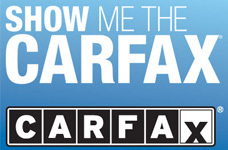 Call STUART at 610-272-0200 to check out this MiniVan, you won't be disappointed.